Whether you’re creating or consuming, content is everywhere. Because there’s so much published each day, much of what’s out there is mediocre. A lot is even worse than that. As content creators and content consumers, we want to make sure that how we’re spending our time–reading or writing–is well spent. 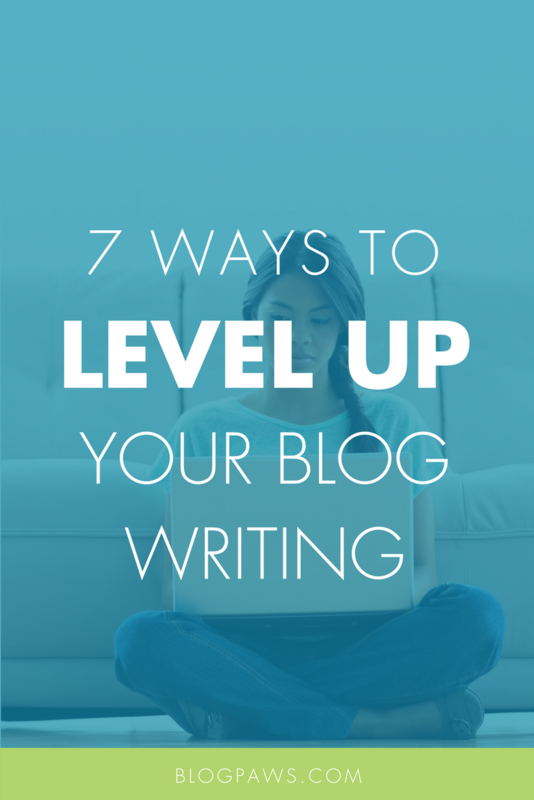 So, as a content creator, how can you become a better writer and take your blog to the next level? Develop a daily writing habit: Even if you commit to five minutes a day, write those five minutes every single day. You won’t publish most of what you write, but you’ll be developing those muscles. Generate more ideas: Brainstorm often. Carry a notebook to capture random thoughts. Ask questions. Become practiced at coming up with ideas. Check out these 15 creative hacks for coming up with more blog ideas. Create outlines: Telling a good story is the key, but it has to be told in a clear, organized way. Outlines enable you to visually spot any information gaps or jumps in the narrative. Create outlines for all your good ideas (see point #2). Many might not make it to your blog, but you’ll have a library of great ideas started in case you’re ever hit with writer’s block. Avoid grammar errors: Take a writing class, read books on style, check Google for answers to your questions. Grammar mistakes can make an incredible writer seem like an amateur. Check out these 5 common grammar mistakes with tips on how bloggers can avoid them. Proofread in preview: Always proofread–and edit–your work. A first draft should never be a final draft. It’s tougher to read in the little editing pane or in HTML. Instead, open your post in preview mode so you can see it as your readers will. Get feedback: Bloggers often work in isolation. Getting constructive feedback from readers or other bloggers can help you spot places for improvement that you would otherwise miss. Writing groups can also help you stay productive and accountable for your writing goals. For more tips, check out how to succeed in an accountability relationship. Each one of these seven tips is powerful on its own. Together, though, they make up a robust suite of tools that will help you take your blog to the next level. Try one, or try them all, and let us know how it goes in the comments below! New to blogging? Be sure to check out the Pet Influencer Starter Kit in the BlogPaws community. The self-paced course is full of tips and tricks to get your blog up and running. Then, head back here to take your new blog to the next level!